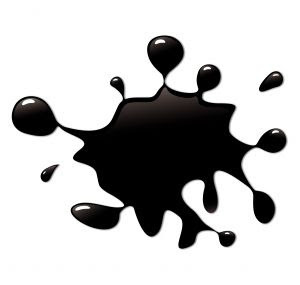 My Facebook friend, Marion, started a blog called, Ink Slinger. Isn't that a cool name? She's from South Africa and tells about an answer to prayer in her debut post. Welcome to the Blogosphere, Marion! 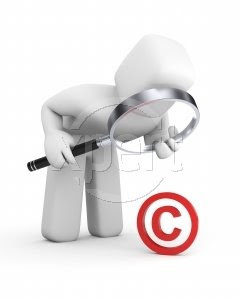 PixnPens contributor, Kathy Ide, gives us the lowdown on Fair Use and Public Domain. Karen Lange, over at Write Now, shares some interesting thoughts about, "Your Life in a Transcript." For the last several weeks, Jane and I have been corresponding and working on this interview. We came up with such an abundance of interesting information that I decided to split this into two or three parts. You may recall I discovered a short German poem I'd learned as a child in Jane's book, "All Together In One Place." After searching for years, I finally got the translation in her book. Jane read my post, and had some fascinating details to add. Rather than re-write her comments in my words, I'm going to quote her directly (with her permission, of course). "Oh good. The German poem. I've heard from people in Ohio and someone in Florida, who also said they'd memorized that poem as a child, but didn't really know what it meant. They were so pleased to find it in my book. "My nephew took German in high school. He and my dad were talking about German, which was my dad's first language. The discussion triggered my dad's memory (one of those river-tooth moments), and he recited the poem. We all asked him what it meant, and I wrote it down on the back of a paper plate never imagining I'd use it one day. I'm so glad I had it, especially now that he's gone. "I'm glad your family carries the story even further on and links people in far away places together as only God's family can do!" I responded to Jane's email and requested permission to share the above story. Here's her reply. "Of course, feel free to share that story. You're absolutely correct about the little things affecting us so dearly. James David Duncan (author of The River Why and others) talks about River Teeth -- those portions of the trees that fall into rivers and appear submerged but they keep collecting leaves and branches as the river flows along. He says those little things that come to us in memory are like river teeth. Something catches us in the present moment and takes us back. "As writers, we can often build those snippets into scenes or even entire books! How they affect me is that they appear in stories, deepening a character perhaps but also hopefully reminding readers of the value of their own nearly forgotten moments that if looked at, even briefly, can bring us insights into our lives today. Jane"
I don't know about you, but I'd love to sit down with Jane over a cup of tea and listen to her talk about the writing life. By the way, I was so happy she explained what the term, "river-tooth moments" meant. LOL! In Part II, Jane answers my questions. Do you have little memories that pop up in your writing? Do you write down day-to-day happenings that may someday provide a scene or storyline? It's that time again! I'm giving away Deb Raney's book, "A Vow to Cherish." John Brighton looked forward to growing old with Ellen, his wife of 30 years. Little did he know, he would face the biggest challenge of his life. A tragic diagnosis changes everything. Deb Raney communicates John's struggles and anguish. She taps into the human heart with honesty and accuracy. The drawing is open to the Continental U.S. and Canada. Leave a comment along with your email address for a chance to win. As usual, the contest will run through Saturday (8/1/09), and the winner will be drawn on Sunday, 8/2/09. An announcement will be made on the blog Sunday, and the winner will be notified by email. I know you'll be blessed by this story of love and commitment. Joanne, over at the Edit Cafe, lists some do's and don'ts when submitting unsolicited manuscripts to her. Since Barbour is a major romance publisher, it might be a good idea to print this one out. Kathryn Lang gives steps for building a better blog. Her wise advice includes creating a map for success. Hear ye, hear ye -- Submission opportunity! Candace Johnson is looking for true, uplifting stories about pastors. For details, check out this post. Have a super great weekend! 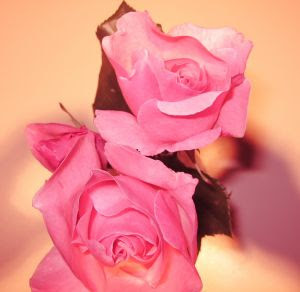 During our courtship, my husband bought me a delicate miniature rose plant. Unoriginal as it may be, I named her, "Rosie." The pink blossoms measured no more than an inch across. Eventually, the blooms faded and died. Without their bright presence to jog my memory, I forgot to water Rosie. One day, I noticed the plant was hanging onto life by a thread. 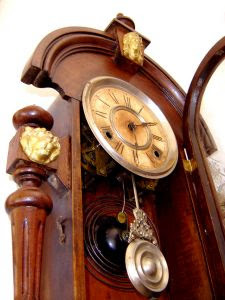 After my beloved presented me with such a lovely gift, I'd neglected her. Only intensive care saved Rosie's life. After a few months, a tiny bud appeared, and disaster was averted. She lived a long life for a miniature rose plant. With TLC, she gave me many flowers and happy memories. During a gray season, my writing withered and almost died. My husband's illness took every ounce of our energy as we fought the onslaught of cancer. When conference time came around, I decided not to attend. Beloved insisted that I go to nourish my writing dream. That year, I attended a workshop where I learned how to take my writing to the next level. The resulting re-write brought my book up to the required 80,000-100,000 words. My characters and setting came alive. Before he died, my DH made me promise to complete my book and seek publication. His encouragement watered my "writing plant" and caused it to bloom. Are you watering your "writing plant?" How are you keeping the dream alive? Thanks to my friends M & K for sending me the photo of my 4th of July dessert. I got the idea from Better Homes & Gardens magazine. The stars are cut from pound cake and have a confectioner's sugar glaze. Blueberries and strawberries cut with a 1/2" star cookie cutter complete the look. They represent the 13 original colonies. There's still time to register for The Greater Philadelphia Christian Writers Conference, August 6-8, 2009, in Langhorne, PA. The Conference takes place at Philadelphia Biblical University. The latest additions to the faculty edit a website called, "ChristianDevotions.us." They're looking for writers. Although it's a non-paying market, it's a great way to get clips. According to their writers' guidelines, agents and editors occasionally visit the site. Do you have difficulty developing characters. 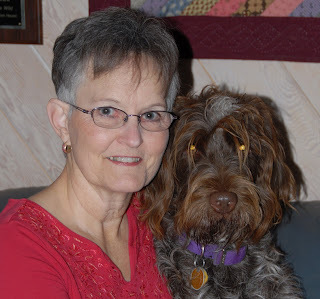 Author Jeanette Windle tells us how she comes up with her story people. Today, we extend a warm, Christian Writer/Reader welcome to author, Mike Dellosso. I met Mike via his blog and then at a book signing about a year ago. 1. Every author's journey to publication is unique. Would you share with us a brief description of your experience? I started writing in response to the emotions I wrestled with after the almost-fatal motorcycle accident my brother-in-law suffered. Up until that time, I hated writing, but through that ordeal I discovered writing was a very liberating exercise. Long story short, I fell in love with it. About four years later, I tried my hand at writing fiction and was hooked. In 2006, I attended the Greater Philadelphia Christian Writer's Conference with a manuscript in hand and caught the attention of Kathryn Mackel, a wonderful novelist, whose books inspired me to write supernatural suspense. Kathy recommended me to an agent friend of hers, and a few months later, I signed a contract with him. Six months later, Realms Fiction offered me a contract for my first novel, "The Hunted." Writer's conferences are a great way to network and get your name and work out there. Unfortunately, a lot of getting published is meeting and knowing the right people. 2. Mike, you write spine-tingling suspense. Where do you come up with your ideas for stories? Ideas come from a variety of places: news stories I hear, urban legends and myths, real life events, and even dreams. Something will spark that creative fire in me, and I'll start to think about it, toss it around, and mull it over until a storyline developes. Then, I'll toy with a plot and throw in some twists and turns, get the basic, very broad outline in my mind before I start writing. From there, it's a free for all. I make things up on the fly. 3. Character development is another area of great interest. How do you write such life-like characters? I put myself in the shoes of my characters. I'm really into why people do the things they do. Everyone has a story to tell, a background of information and experiences. I want the reader to connect with my characters so I have to make them as real as I can...flawed, scared, weak, victorious, hypocritical, whatever. Sometimes this causes problems with readers or critics because a character may seem inconsistent, but really, aren't we all inconsistent? No one acts a certain way all the time. Let's face it, we're all hypocrites sometimes. And we all act differently depending on the circumstances. I like my characters to show a level of humanness, of being real people. 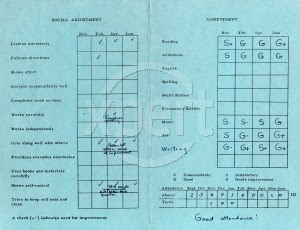 I hope that comes across in my writing. 4. What new projects do you have in the pipeline? Ah yes. I'm currently working on my third novel, "Darlington," which is under a September 1st deadline. I'm writing furiously to get it done! It's a great story about a man dealing with inescapable grief and facing impossible odds. His search for his son leads him to a seemingly innocent, yet very backwards, town in Northern Maryland called, "Darlington." A town where fear has teeth. Look for it next Spring or Summer. Thanks for joining us today, Mike. We look forward to your new release. 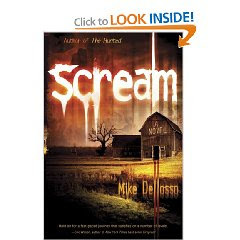 Mike Dellosso is the author of supernatural suspense titles, "the Hunted, and "Scream." He lives in Hanover, PA with his wife and three daughters...and a black lab who follows him around everywhere. When I was growing up, my grandmother had a little German saying. She couldn't remember what it meant, but her family taught it to her when she was a child. I always wanted to know the translation, but I'd learned a somewhat fractured version. When I encountered someone familiar with the language, they'd look puzzled and shake their heads. I'd given up finding the answer, and simply treasured a sweet memory of my grandma. 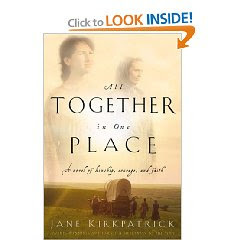 Last week, I read a book by Jane Kirkpatrick, "All Together In One Place." I got to page 365, and my heart leaped. Could it be? "Ich bin klein. Mein Herz ist gane rein. Wiemand wohnet darin Jesus allein." A child asks what the words mean, and she says, "I am little. My heart is all pure. Nobody lives there, except Jesus alone." 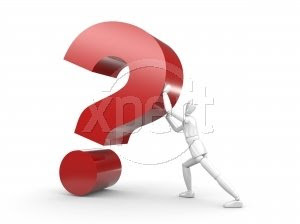 Often we have questions that seem to lack answers. Even with the Internet, we can't always track down the information we want. No matter what the question, whether it's about life or writing, I pray for the answers. When my research fails to turn up anything, I put it on the back burner. The Lord always brings what I need when I need it. Last week brought news of a layoff, which sent a wave of discouragement over me. The worry machine tried to kick into high gear, but I turned off the switch. 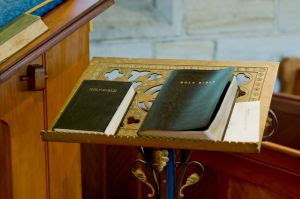 Soon after, the Lord blessed me in several ways...a gift certificate, the translation of my grandma's saying, information for my book, and more. How grateful I am for His loving concern over such small details. He knows all my needs and my heartfelt desires. I can rest in Him. For the God of the Universe, a job is a piece of cake. I heard an author say, "If you want readers, write articles." 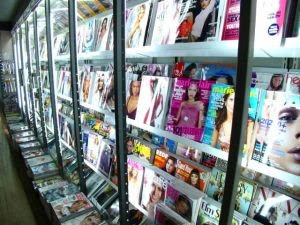 Over at Sharon Ball's blog, Darlene 'Dee' Bishop de-mystifies the art of writing for magazines and periodicals. Check out the 6/26/09 post. 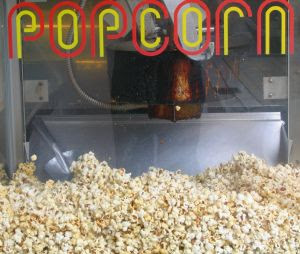 Tifany Colter, over at The Balanced Life, shows us how slowing down and making popcorn can save money in these tough economic times. 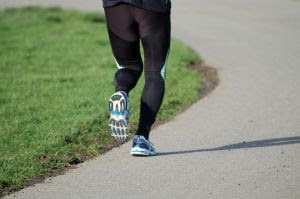 I'm not a jogger, but I like to making a circuit around the Internet. 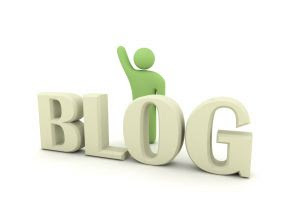 Reading blogs is like a worldwide brainstorming session. Here are some of the stops I made over the past week. Debbie Roome, over at PixnPens, continues her series on the elements of successful fiction. In this segment, she shows how to add color to your writing. PixNPens announced a new column on Fridays. Kathy Ide tackles the subject of self-editing. 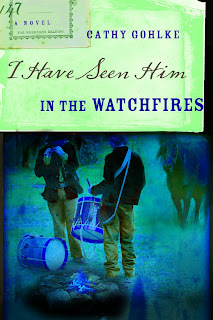 Last, but not least, my buddy, Karen Lange, gives some nifty links of her own over at Write Now. Check out her post. Whew! All this jogging around the Net made me work up a sweat. (Sorry, but women do sweat.) I'll pass the baton on to all of you. Take a run around the Internet track and see what you can find. I'm always amazed by the way the Lord brings books, people, or any number of other things to me. His timing is so perfect. Over a month ago, my mother's friend loaned me this book. Because of other commitments, it sat on my nightstand unopened. Since I needed to return the book, I kept feeling pulled to read it. I'd never heard of the author, Catherine Palmer, but saw she was a Christy Award winner. Finally, I entered the story world, and stayed until the last thrilling scene. "A Kiss of Adventure" is set in Mali, Africa. Matilda "Tillie" Thornton is a missionary kid, whose mother died when she and her siblings were young. Hannah, a devout African Christian, raises the youngsters, covering them in the Word of God. Now grown, Tillie, dreams of assisting the African people through agricultural research. A solid relationship with the Lord, a steady beau, and a job doing what she loves fail to quell the restlessness in her heart. A young boy approaches her and casts a necklace with an amulet around her neck. From that moment, her life becomes a series of hair-raising adventures. A nomadic tribe is convinced she holds the key to a treasure and chases her throughout the countryside. A stranger in a Land Rover (Graeme McLeod) rescues her from them, and they work together, unraveling the mystery of the amulet. The author conveys the setting, tension, and story with such skill you can feel hands wrapping around your waist and casting you on a camel. The hot sun and gritty sand make your skin itch and burn. You're not watching Tillie. You are Tillie. If I gave out stars, this one wouldn't have 5. It would have as many stars as a desert sky. The inspirational messages, the course of true love, and the conflict with evil kept this suspense lover on edge to the BIG ending. This book is an oldie, but goodie. I'll be on the lookout for more of Catherine Palmer's books. It shouldn't be hard to find them. She's written over 40 novels, and I'm thrilled our paths crossed.